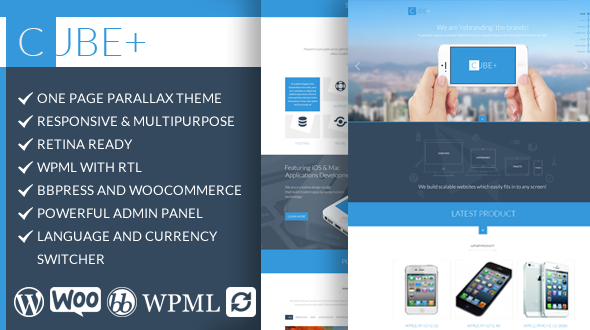 Cube+ is a Modern Multipurpose Parallax One page Wordpress Theme. This theme is Suited for corporate, product, ecommerce or personal blog. The Landing Page is designed with modern look and feel while keeping in mind user friendly interface. Cube+ is fully responsive and retina ready as it looks stunning on any devices. Cube+ is loaded with Woocommerce for shopping cart, bbPress for Forums and WPML for multiple language support with RTL. - Updated YITH WooCommerc Compare 2.0.3. - Wordpress 4.1.1 compatiblity added. - Added wordpress 4.0.1 compatibility. 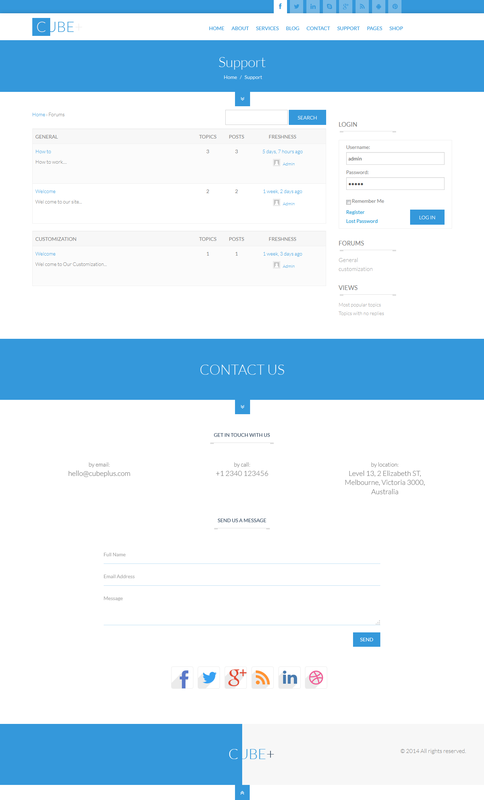 - Resolved issue with shortcode js conflict and flexslider css override. - Resolved issue with portfolio and team look. - Added  Visual Composer - Drag & Drop page builder plugin with editor. - Added shortcodes for WP Editor. - Resolved css issue for right sidebar display. - Resolved sidebar issue in cart and checkout page.